My #1 priority is providing the best possible results for your project or event. I think you will be hard pressed to find an audio engineer with the unique breadth of experience I’ve achieved over the last 25 years. Every project I’ve worked on has served to strengthen my engineering abilities, and my diverse experience across a variety of projects has provided me a perspective on audio engineering that few engineers are able to achieve. However, what you’ll remember most after working with me is how I went above and beyond to achieve the results for your project you dreamed of. Below is a sampling of audio engineering and mixing services I provide. Mix Samples can be found HERE. 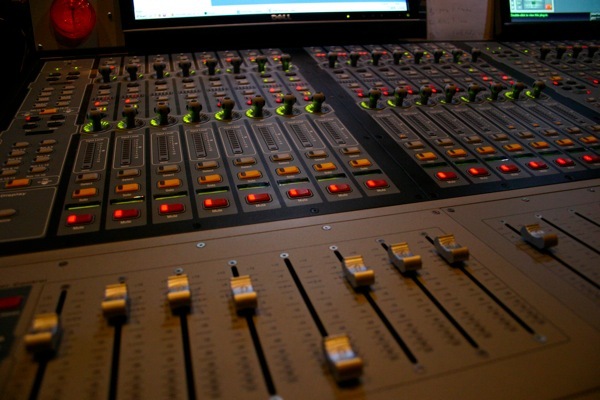 Project work performed in my studio for Music and Post-Production Audio is performed at a project rate. Every project is different and rates are based on the scope of the project. After initial revisions, one additional round of revisions is provided for every project. Additional revisions are always available for an additional fee. Stems are also available for an additional fee. Standalone audio editing and vocal tuning is billed hourly. On-site and live sound work is provided at a day rate. Any studio and/or equipment costs are the client’s responsibility. The client is responsible for all travel expenses related to non-local projects. I define local projects as projects within a 1 hour drive from my studio under normal traffic conditions. Click HERE to check out some mix samples. For more information or to receive a quote, please fill out the form below.